The Welsh Mountain of Lancaster County is a large, sprawling wilderness area that has a rich history. This area was for many years considered a lawless region, with its inhabitants living somewhat outside the law. The mountain has been a fixture of Lancaster County life ever since the 1700's and continues to be the most prominent wilderness area left in the county. The Welsh Mountain Table shares some similarities with its namesake. Large, unyielding, timeless and a little lawless. This table is crafted out of twin, "bookmatched" live edge pieces of American Elm. The huge table measures more than 8 feet long and 52" wide. 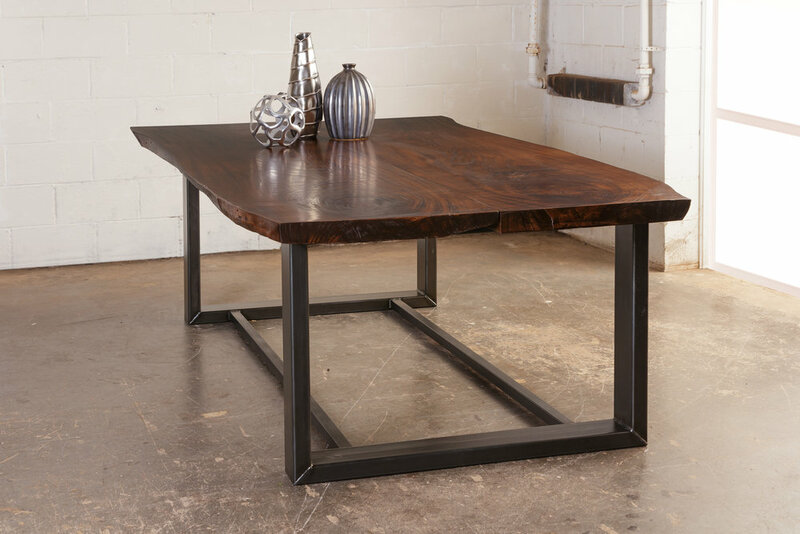 The massive slabs are a hefty 4" thick, offset and balanced by a large, square metal base in rustic steel. Dimensions: 56W x 105L x 30H"
Live-edge, bookmatched Elm is the staple of this collection. Although the collection is available in other wood species as well, the signature piece features live-edge Elm from Lancaster, PA. The finish is an Asbury stain. A table top as massive as this one needs an equally impressive base. 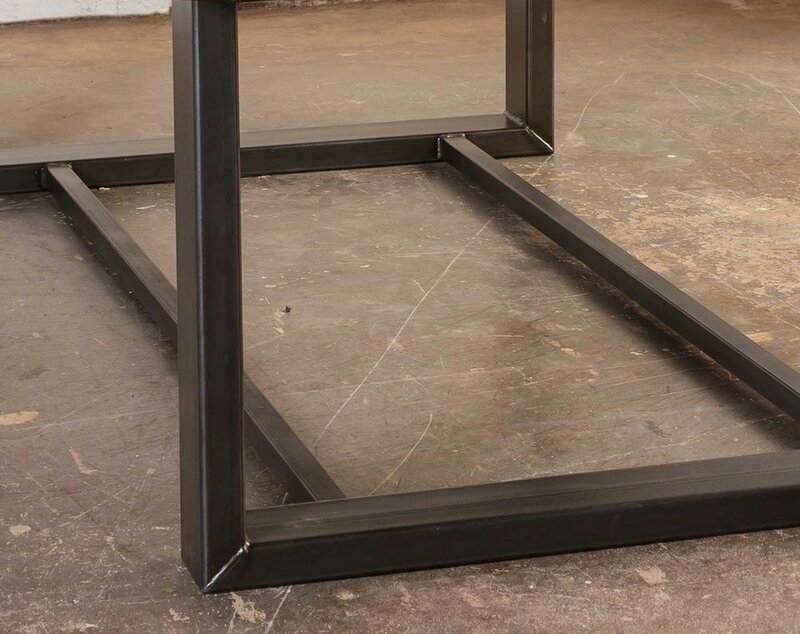 The heavy square tubing and exposed welds contrast with the Elm top to make a statement that won't soon be forgotten.